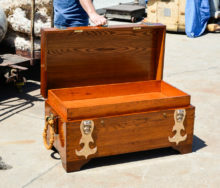 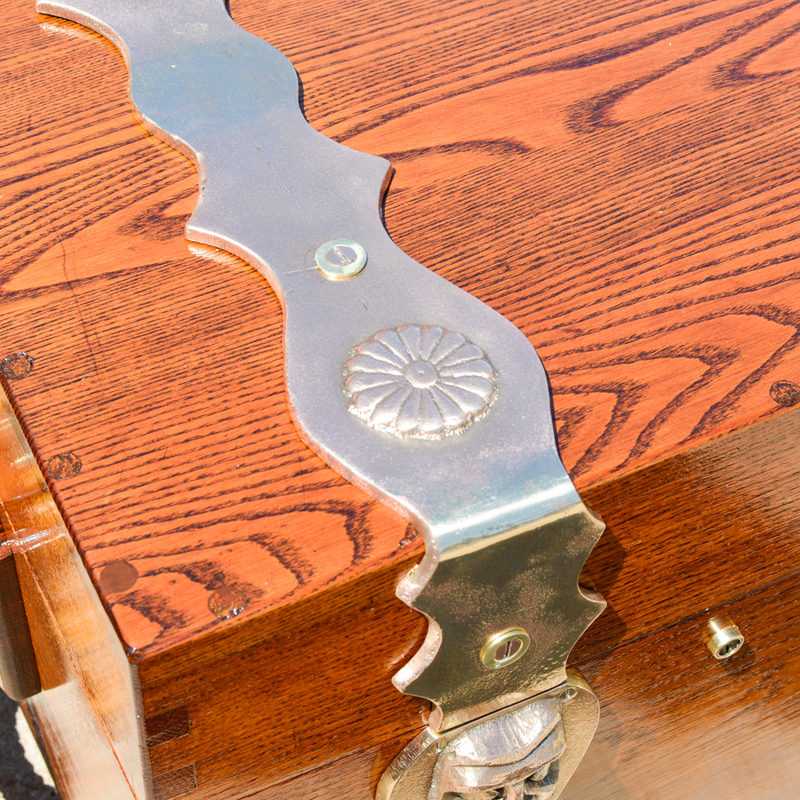 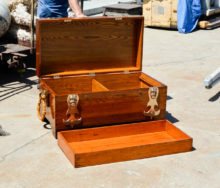 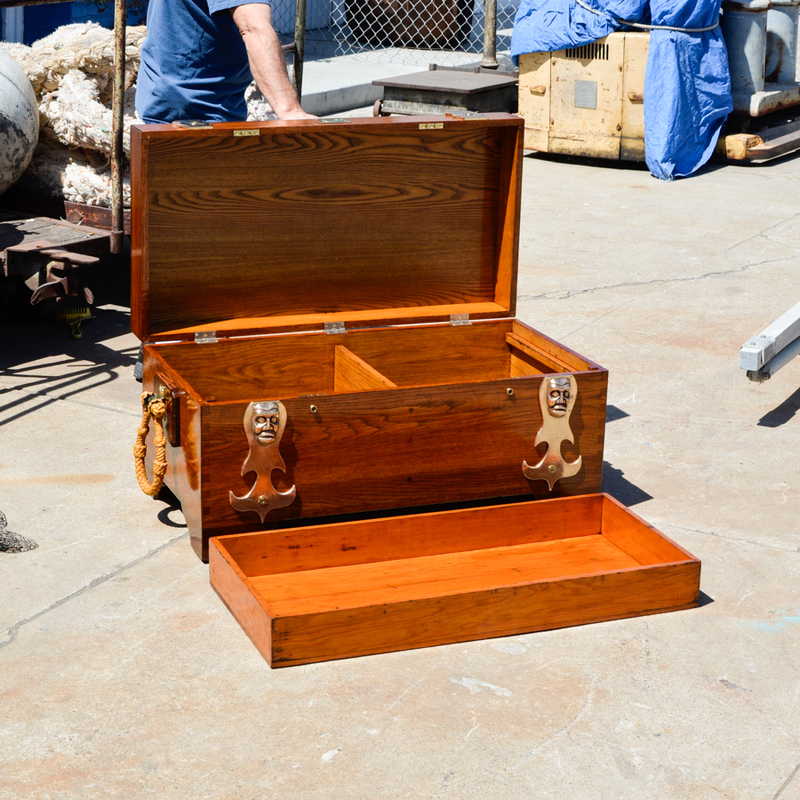 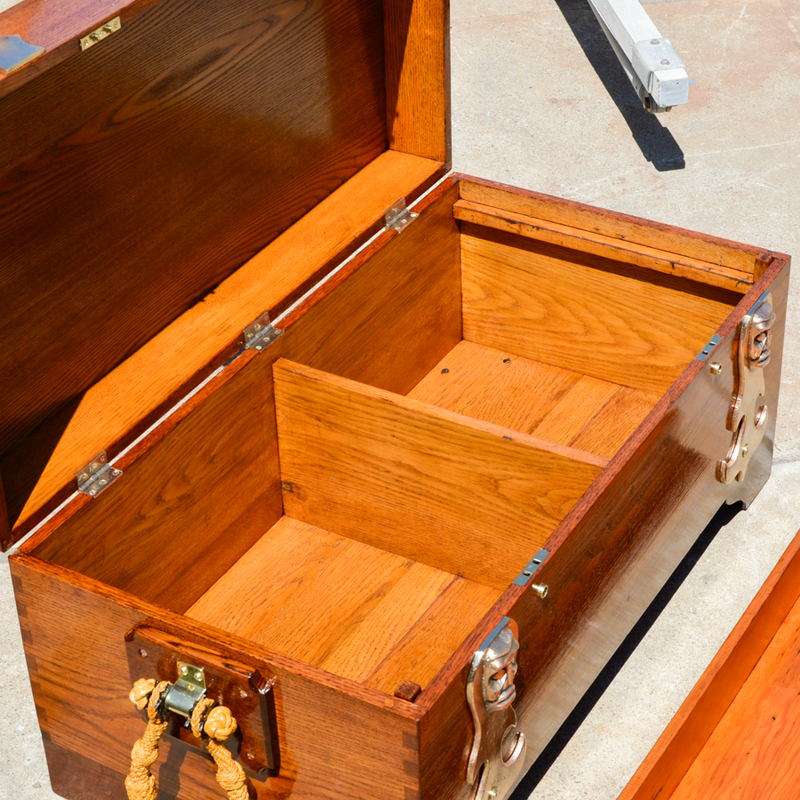 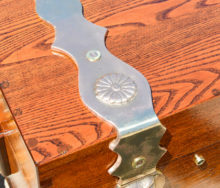 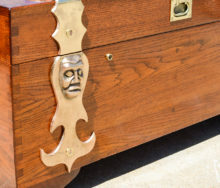 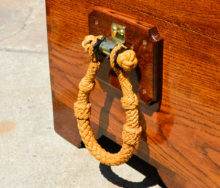 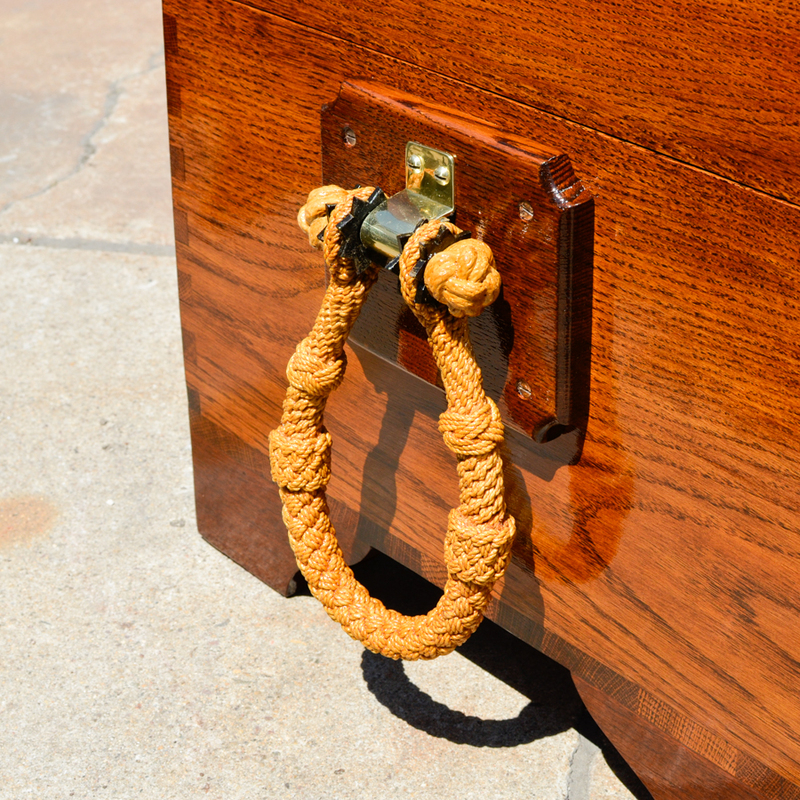 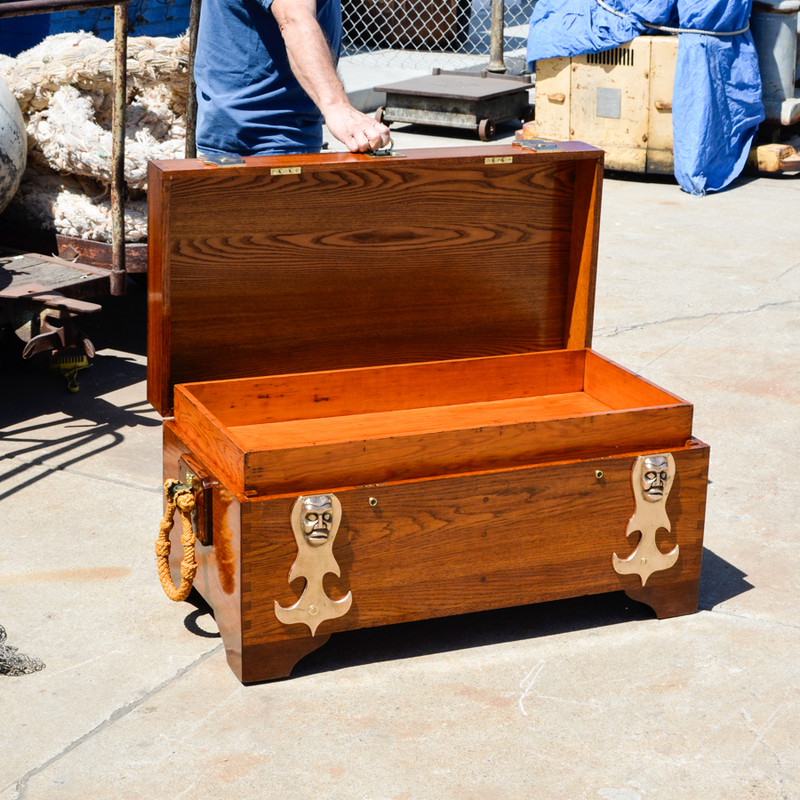 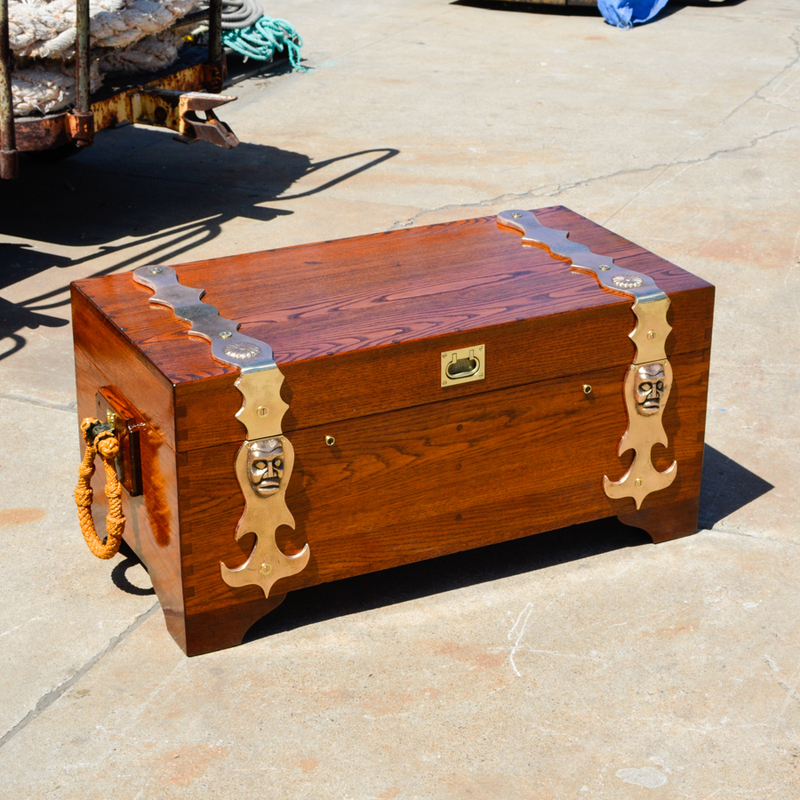 A solid oak sea chest with solid bronze tiki straps salvaged from a 1930″s era Tahitian Ketch along with some of the saltiest macrame handles a sailor has ever seen. 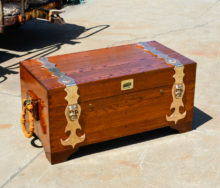 This handsome looking chest is built like a tank and measures 18 inches tall x 37.5 inches wide x 19.5 inches deep. 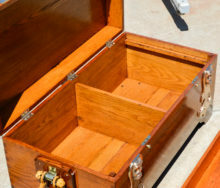 It has a removable shelf inside as well. 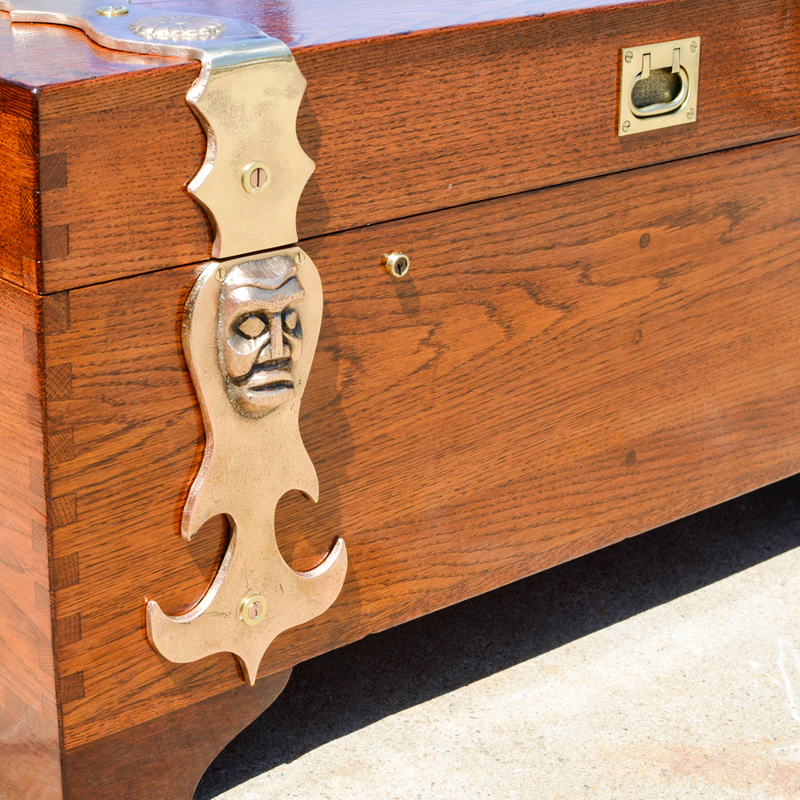 A showpiece indeed.